A Fun, indoor/outdoor adventure hunt! 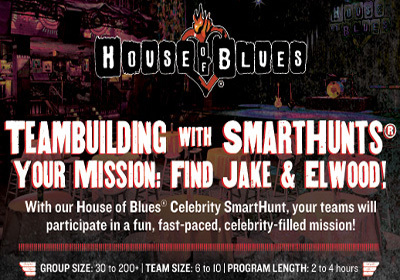 With our House of Blues Celebrity SmartHunt®, your teams will participate in a fun, fast-paced, celebrity-filled, “MISSION FROM GOD!”, where you make your own Jake & Elwood Movie Trailer. 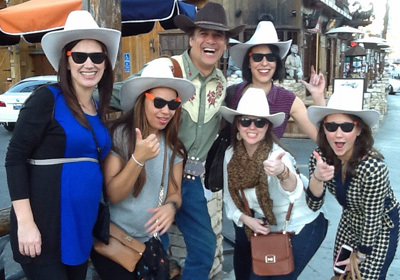 This Celebrity SmartHunt will have teams raising money to save the orphanage as well as finding Jake and Elwood Blues, so they can be invited back to the House of Blues for a Mission Accomplished celebration party! team-2After a quick iPad training with the SmartHunt’s App, your group will be formed into “blues bands”, issues dark glasses, and told that the orphanage needs to be saved. Of course, the only way to do that is to raise the necessary money. It’s your job to earn that money at challenge stations found up and down the Mission course. Your iPads will guide the way, quizzing you about Jack and Elwood movie trivia and tasking you to shoot photos and videos of points-of-interest on your journey. You will learn more about your teammates as you share stories and sightseeing opportunities that you’ll be capturing on your iPads. nun-1Find the Sister, who might be driving away business at a local adult shop in her nun outfit. Sing with the Waitress, who may be singing soulfully at a local diner. When you find them, they’ll have challenges for your team to gain extra points. Then, you get a text message on your iPads! Jake and Elwood have been spotted! Run! A photo with them is worth a lot of points! 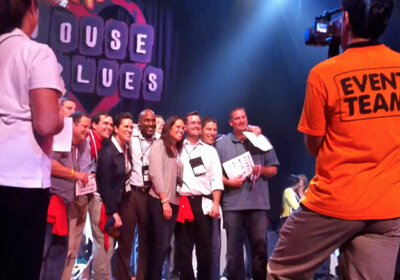 After your exciting journey, all the teams will return to House of Blues to mix, mingle, and have dinner with their favorite Soul Men! During the festivities, all the best and funniest photos and videos shot by your team will be playing on big screens and gold metals will be awarded to all the members of the winning team. 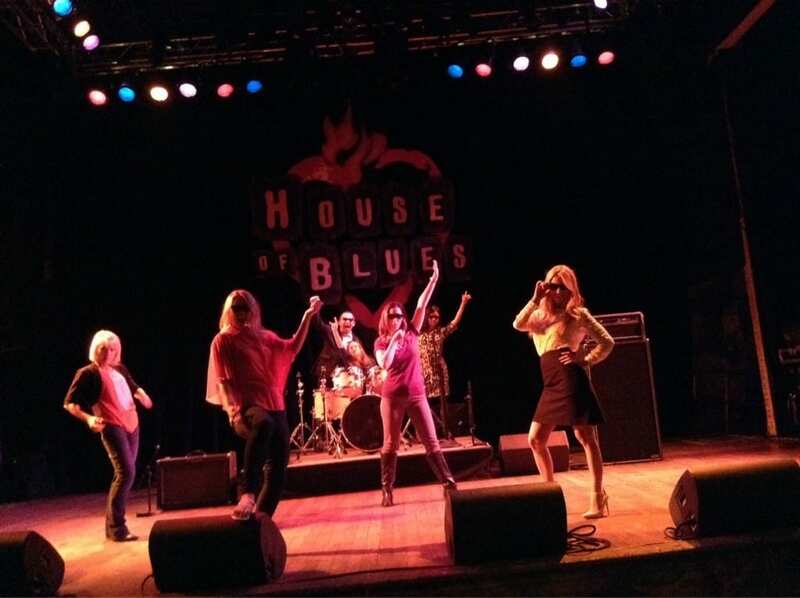 After the event, we will make a movie from the photos and videos shot during your House of Blues Celebrity SmartHunt and send it to your group to distribute or load on your website. 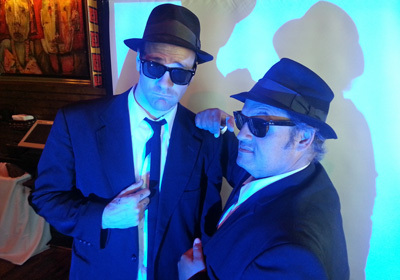 So if you’re looking for a fun, high-tech, high octane, company event, look no farther than our Jake and Elwood SmartHunt available at House of Blues nationwide.